Come witness a special sight when you visit Tokyo, Japan this summer. 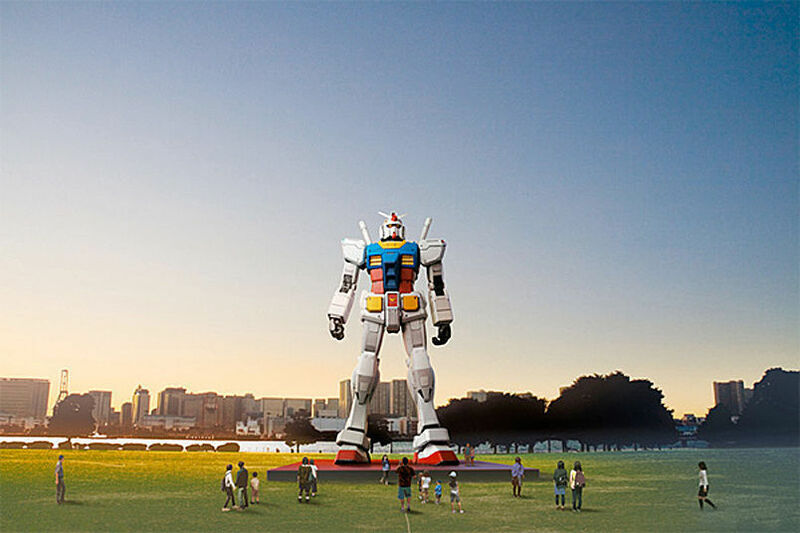 To celebrate the 30th anniversary of Gundam, an anime TV series, a life-size 59-foot-tall statue was constructed on Tokyo’s new waterfront, Odaiba. The statue will be on display from July 10 to August 31 in an effort to promote Tokyo’s bid to host the 2016 Olympics. Sponsored by the Green Tokyo Gundam Project Committee, the Gundam statue can move over 50 body parts, and eject light beams and mist just like the TV character. The Gundam TV series started in 1979 and since then has become a franchise that still continues today. To make sure you get the best view of this statue, you can book a hotel that will give you a nice view right from your room. At the Hotel Nikko Tokyo, enjoy the view in from the newly renovated hotel. Families can stay and take advantage of their “Connecting Rooms Promotion,” which gives families two connecting rooms that can sleep 4-6 people. The promotion also includes free Pay TV, free parking, and free high speed Internet. Rates start at JPY 40,000 for a Park view room, and JPY 50,000 for an Ocean view room, and as we go to press, US$1 = 94 JPY or Japanese Yen. Each room comes with a TV, toothbrush set, in-room fax, Japanese tea set, mini bar, refrigerator, and in-room safe. Cribs for babies under 1 are free and a baby-sitting service is available from the front desk. For more information about the Hotel Nikko Tokyo, go to www.hnt.co.jp. At the Hotel Grand Pacific Le Daiba you’ll enjoy your view from a European style hotel. Spend your time at their fitness center, outdoor pool, business center, and salon. They also have their own art gallery and a variety of shops that sell different Japanese goods. Rates start as low as JPY 36,000 and differ by room type and view. For more information, go to www.grandpacific.jp. Another great way to see the Gundam statue up close is to see it by boat. Harumiya is a Tokyo Bay cruise service that is running a special two and a half hour cruise on the traditional Japanese boat, Yakata-Bune. On the cruise you will get Japanese food and drinks, along with a good view of the Gundam statue. Rates for this cruise start at JPY 10,500. For more information go to www.harumiya.co.jp. Next Article Next Article Cape Town…a dream destination for children!